"This is a tasty brine for any poultry. It will make your bird very juicy, and gravy to die for!! This is enough brine for a 10 to 18 pound turkey." In a large stock pot, combine the vegetable broth, sea salt, rosemary, sage, thyme, and savory. Bring to a boil, stirring frequently to be sure salt is dissolved. Remove from heat, and let cool to room temperature. When the broth mixture is cool, pour it into a clean 5 gallon bucket. Stir in the ice water. Cook the turkey as desired reserving the drippings for gravy. 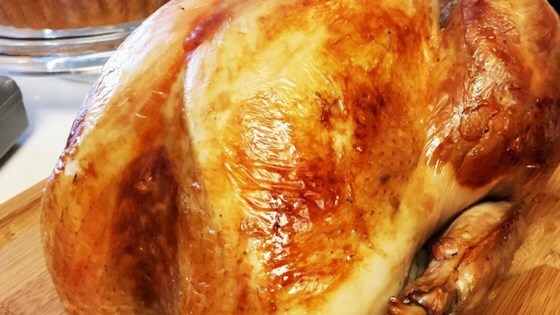 Keep in mind that brined turkeys cook 20 to 30 minutes faster so watch the temperature gauge.